I can’t believe how quick & easy laser hair removal is! I’ve been really impressed with my results. Laser hair removal is the best money I’ve ever spent. It has given me so much confidence. My only regret is that I didn’t do it sooner. I was always embarrassed to take my shirt off at the beach because of my back hair. I haven’t had to worry about it at all since I saw Sally at the Laser Center of South Florida. I’ve loved having laser! It makes life so much more convenient. I never need to think about shaving when I put on a bathing suit, sleeveless shirt or a pair of shorts. It’s great! I have been self conscious about my facial hair for years. The staff at Laser Center of South Florida was so professional and made me feel really comfortable. Now, I never need to worry about anyone noticing hair on my face. It’s been one of the best things I’ve ever done for myself. 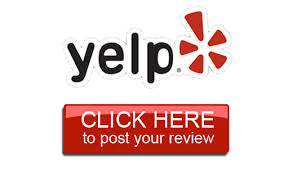 Alissa and Sally came highly recommended by a few of my friends who had gone to them for hair removal. I have had great results and am so glad my friends made the recommendation.